Another New Year is upon us and as usual we, and by we I mean I, see the inevitable avalanche of resolutions and declarations of change, progress, and promises to not repeat the mistakes of the past year. I’ve done it and I’ll probably do it again in the future. But for some reason, something about this year…this NEW year…feels different. I find myself entering it with less hope and more anger. I feel as though I have less faith and more cynicism. That magical door that’s supposed to appear at the start of the new year did not appear for me. And even if it had, I think I would have been less inclined to walk through it, and more inclined to ignore it out of spite and outright defiance. Perhaps it’s change that I have the biggest problem with right now. I want it…desperately. I want change so intense that I look back on things and cry as I marvel at the amazing turn my life has taken. But I have no idea how to make it happen and quite frankly, and probably more accurate, I have no motivation or energy to try to make it happen. I feel like an empty shell on this first day of the new year. Perhaps the 100.3 degree fever and chills I’m experiencing play a large factor. Perhaps it’s because I feel completely detached from the world right now. Perhaps it’s this…perhaps it’s that…perhaps, perhaps, perhaps! I don’t know what IT is, but it’s causing some strain, and I need to nip it in the bud. I see a glimmer of hope in this 31 day writing challenge proposed by an author I’ve followed for a few years now. I know that if I want to be a writer, I actually have to write, but this whirlwind of internal confusion has left me unable to write a thing beyond the psychological summaries for potential new clients for my employer. This challenge, writing 500 words per day, may just be the very thing that saves me. This may be the very thing that pulls me from the abyss of lethargy and apathy and a bunch of other words that end in ‘y’ but essentially mean the same thing. 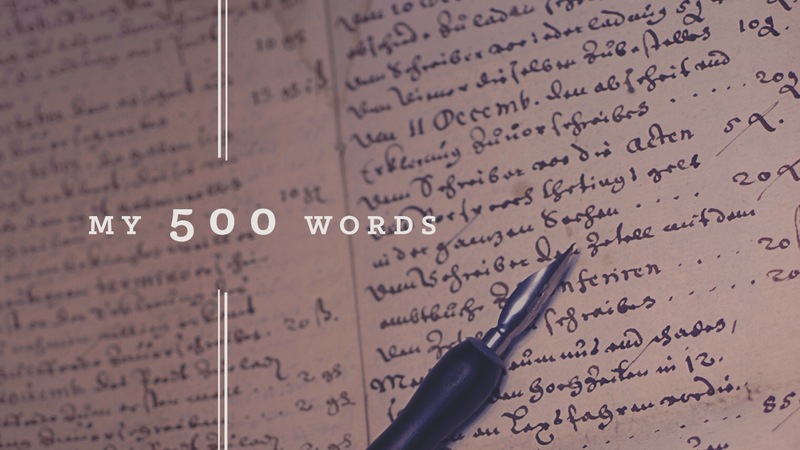 Jeff Goins has proposed that we (and by we I think he means writers, but why not anyone when you think about) pledge to write 500 words per day. That’s not a lot when you think about it. 2-3 pages per day? I can usually do that in my sleep. Of course, I haven’t been experiencing “usual times” lately, so, the jury is still out on my ability to be successful. But I see no reason not to try! And so, for my resolution, I shall write 500 words per day for the next 31 days, and see if I can develop better writing habits and simultaneously rid myself of this funk I’m in. As a writer, I’m excited about the possibilities. As a mental health professional, I’m curious to see if there will be any noticeable change in my attitude and demeanor.